A case like this tells you a lot about the legal process. Unless the defendant can find a way to have the case dismissed on summary judgment, most cases settle. Few go to trial. The road to settlement, though, is a hard one, as the lawyers on both side try to explain to the client why settlement is a good thing and why compromise is (sometimes) better than an all-or-nothing trial. But even if you get to client to "yes," buyer's remorse might kick in the next day. Which is how this case reached the Court of Appeals. The case is Pierre v. Chase Investment Services, a summary order decided on April 3. This was an employment discrimination case brought in federal court. The parties reached a settlement and the judge placed it on the record in open court. The settlement was in the amount of $50,000, plus additional nom-monetary terms. When the defense lawyer sent plaintiff's counsel a proposed settlement agreement, plaintiff's counsel said it was OK. 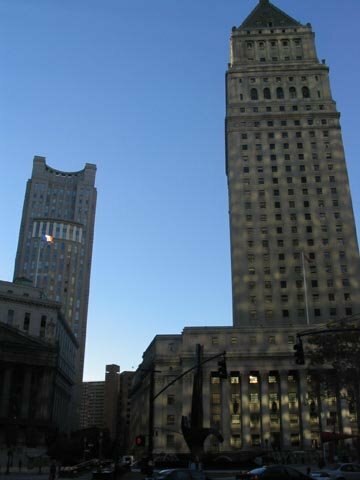 But the plaintiff herself later on wanted to modify the non-monetary terms of the settlement (including the confidentiality and nondisparagement clauses and certain provisions against plaintiff's reapplication to work for the defendant in the future), and that threw a monkey wrench into the whole agreement. This is why lawyers drink. Of course, defendant's counsel rejected these after-the-fact modifications, and the case then went back to the trial judge to figure it all out. The trial court held the plaintiff to her in-court agreement about the settlement terms. The trial court stated, "A settlement stated on the record is one of the strongest and most binding agreements in the field of the law and is thus entitled to substantial deference.... The fact that the parties intended to memorialize the settlement agreement in a subsequent writing is not a green light to permit either party to inject new terms which were not previously disclosed to the Court. However, parties who do not intent to be bound until the agreement is reduced to a signed writing are not bound until that time." settlement was agreed to in open court on July 16, 2012 before Magistrate Judge James L. Cott in the United States District Court for the Southern District of New York, and is therefore valid and enforceable. The fact that Plaintiff had a change of heart between the time the oral agreement was made and when it was reduced to writing has no effect on the validity of the oral settlement."